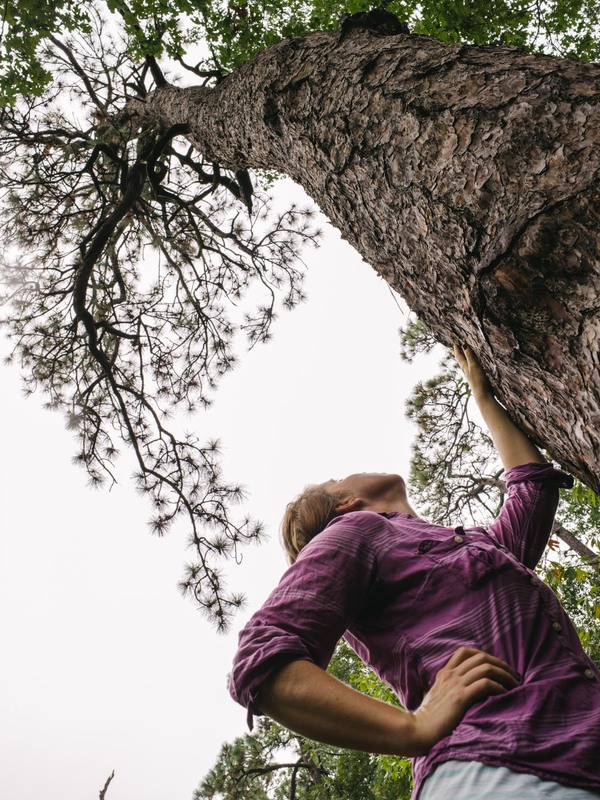 Conservation Coordinator Gretchen Coll of the Nature Conservancy stands next to the oldest known Longleaf Pine, at 468 years old in the Boyd Tract of the Weymouth Woods-Sandhills Nature Preserve, near Southern Pines. This region used to be called "The Pine Barrens", covered as it was by a single longleaf pine forest that ran for hundreds of miles in every direction. The tree was the source of much-prized "heart pine" used for furniture, ships and floors, and was a major source of turpentine. Remnants of unlogged longleaf dot the south here and there, but managing these tracts is tricky and expensive: Longleaf needs periodic fire and long-term management to reproduce and thrive.